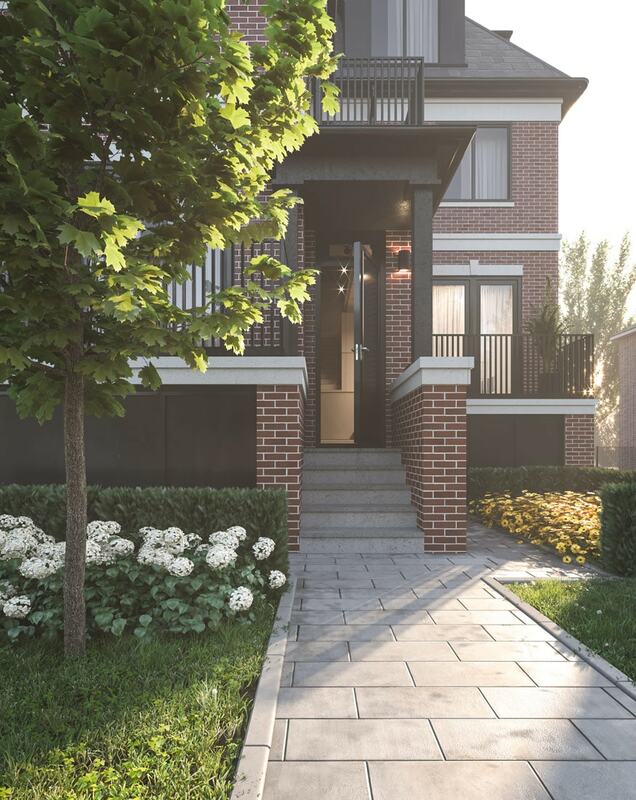 Situated in a well-established neighbourhood shaded by mature trees, Lytton Living is a limited collection of luxury townhomes with three bedrooms and premium finishes. Only two of the six residences remain, Unit E and Unit D, encompassing 1,640 and 2,160 square feet, respectively. 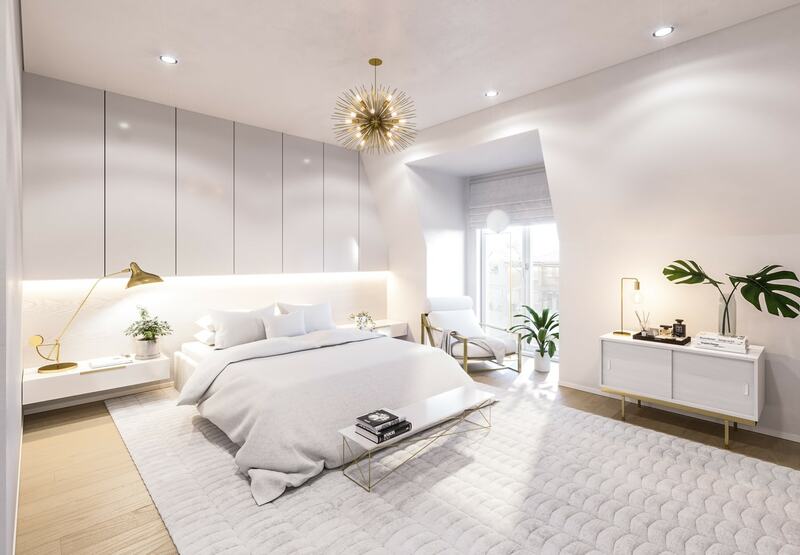 Developed by Pagé DCS and Downing Street Group, these open and airy layouts feature design-driven details that have been hand-selected by renowned interior designer Nicholas Ancerl. 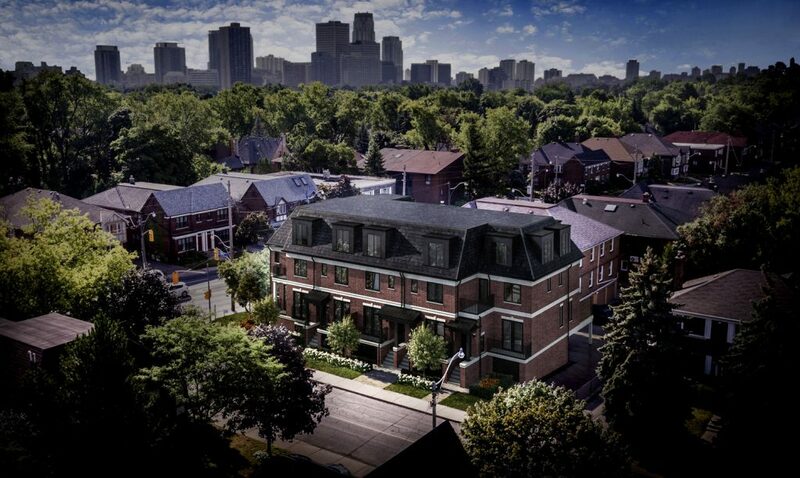 Each exterior elevation is clad in Chicago-style red brick, and accented by custom white limestone. An interlocking stone pathway leads the way to the stately front door in a matte black finish. Upon entering the home, guests will be awed by the soaring 19’ opening, featuring an interior balcony with a seamless glass railing and shimmering crystal pendants. 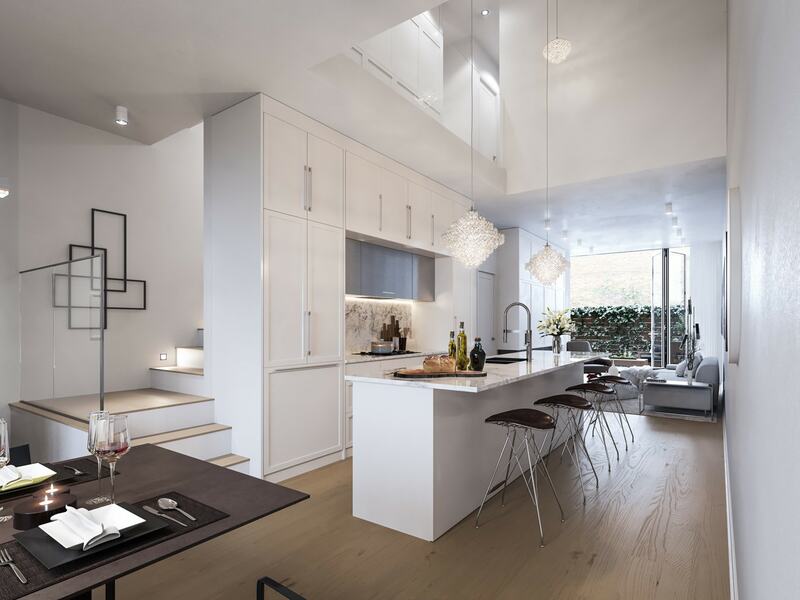 The main floor is open-concept, with a chef-worthy kitchen marking the transition between the living and dining spaces. 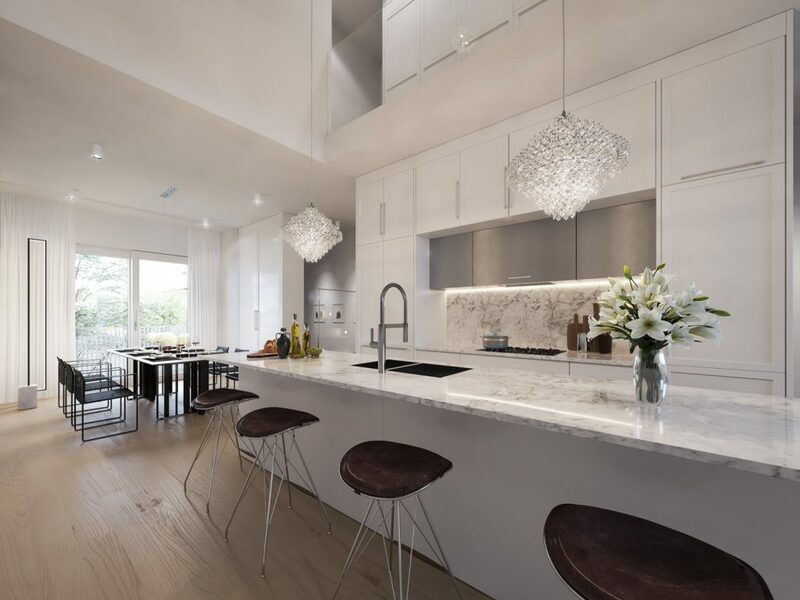 Characterized by imported Calcutta Gold marble, custom white lacquer Shaker-style cabinetry, integrated Wolf, Sub-Zero and Gaggenau appliances, and a high-flow chrome faucet, the kitchen is truly the heart of the home and ideal for entertaining. The dining area is adjacent to the kitchen, and is well-suited to both formal and daily meals. The elegant living area boasts an indoor-outdoor feel thanks to the accordion-folding glass doors that stretch all the way to the ceiling. 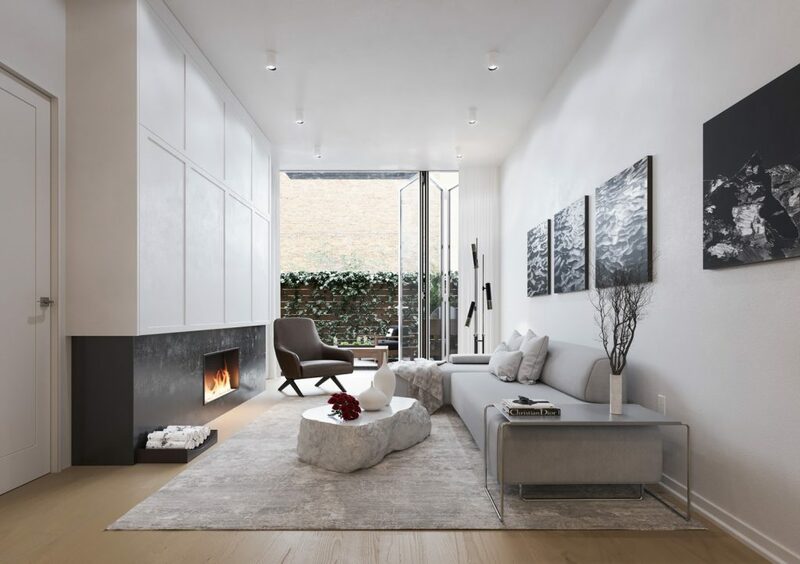 A gas fireplace with a black onyx or textured porcelain surround provides warmth, while 7”-wide-plank hidden seam European white oak hardwood flooring keeps the space looking uniform. 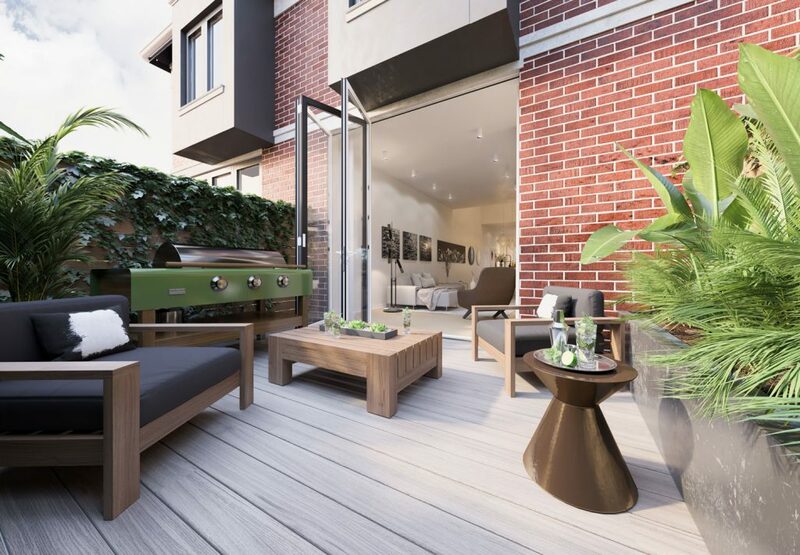 There’s also a walkout to the private terrace, where residents can fire up the gas barbecue or enjoy a glass of wine alfresco. A private elevator provides convenient access to all floors and the secure underground parking. The third floor master retreat is outfitted with an open-air balcony and a sizable walk-in closet that includes floor-to-ceiling custom white lacquer cabinetry. 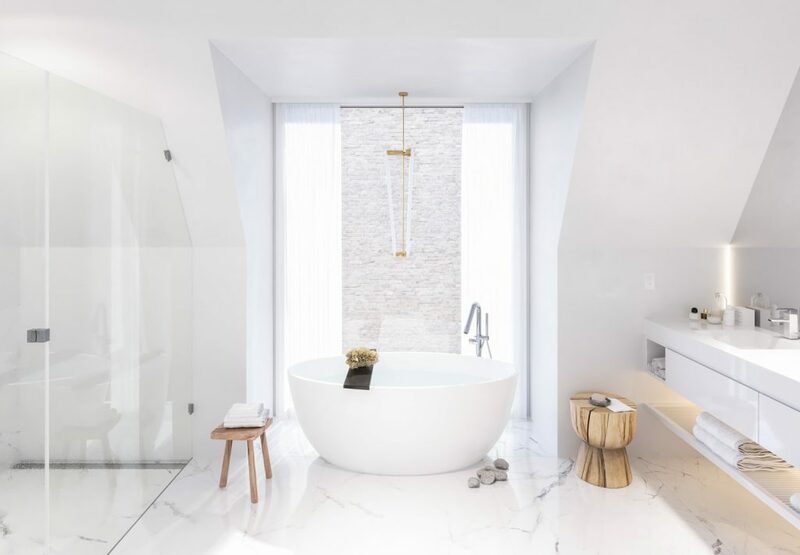 The spa-inspired ensuite features a half teardrop freestanding tub, heated marble tile, a seamless double sink vanity with a Corian countertop, frameless glass shower with a rain showerhead and handheld combo, plus a separate water closet with a pocket door. The two additional bedrooms are located on the second floor, where there is a shared full bathroom and laundry facilities. The basement of Unit E is unfinished, providing the opportunity to transform the space into a home office, yoga studio, games room or wine cellar. Unit D has a roomy garage with ample space for storage. As the name suggests, Lytton Living is located at the corner of Avenue Road and Lytton Boulevard. It’s a stone’s throw from Lytton Park, a 1.7 hectare green space with three lit outdoor tennis courts, two lit lawn bowling greens and a children’s playground. The neighbourhood is replete with upscale restaurants, gourmet food stores, boutique fitness studios and high-ranking schools. Hop on the 400 to escape to the cottage for the weekend, or commute downtown via the Eglinton subway station. The onramp to Highway 401 is only eight minutes away, and Pearson International Airport and the Toronto Island Airport are also nearby. With only two residences remaining, prospective buyers are encouraged to register online. For direct sales inquiries, please contact Peter Powers at peter.powers@lyttonliving.com or by calling 416 300 0372. For more information, visit lyttonliving.com.